Icicle Lights are a good way to bring out the holiday cheer. With a variety of colors and styles to choose from, icicle light are perfect for being strung across the edges of roofs, patios and any other large outdoor structures. And, for those who live in climates that don’t permit snowfall, icicle lights are a great way to replicate the natural grandeur of winter. 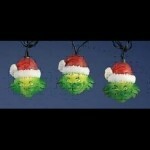 Novelty Lights are meant for those who want to inject a little humor into their decorating. With so many different styles to choose from, you’re sure to find a light that fits your own unique personality. Novelty lights can range anywhere from Santa, reindeer and snowman lights to characters like the Grinch, racehorse jockeys and even your favorite football team. 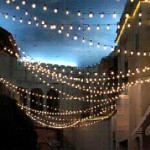 LED lights are fast becoming the new craze in Christmas lighting for several different reasons. They are long lasting, don’t heat up, don’t contain mercury and use much fewer watts than other lights, making them the perfect eco-friendly decoration. And by clustering LED bulbs on the same decoration, manufacturers have expanded the possibilities of light patterns and brightness intensities that the lights emit. 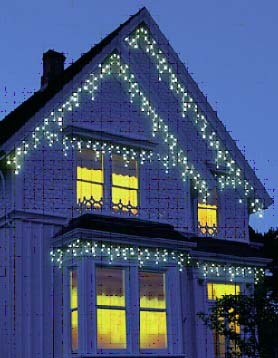 The three most common styles of LED lights are recessed/track bulbs, diffused bulbs and spotlight/floodlight bulbs. The most common colors to choose from are red, green, blue, white, amber and holiday mix. With all the different styles of lights to choose from this year, you should have no problem decorating your yard exactly how you want. From tree lights to patio lights to lit plastic statues, there is guaranteed to be a light scheme to fit every need and personality. So show off your individuality and eco-friendliness this season by investing in the newest LED outdoor lighting technology.